The Eos Foundation is a private philanthropic foundation committed to breaking the cycle of poverty by investing in children’s futures. The Eos Foundation is launching a campaign to promote women’s leadership in the workplace. 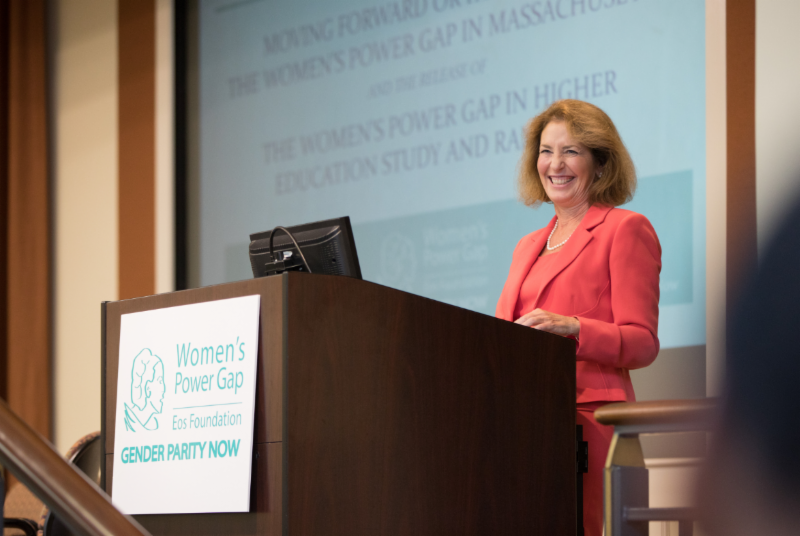 The Women’s Power Gap initiative aims to dramatically increase the number of women leaders across all sectors in MA beginning with higher education, with special attention to the inclusion of women of color. The Eos Foundation enlisted O’Neill and Associates for Creative Design & Strategy services to increase public awareness, participation, and facilitate the launch of the campaign. The task was to design the campaign’s brand, create a website and design a printed report featuring infographics, charts and data. O’Neill and Associates began the engagement with Eos Foundation by conducting a strategic download and imaging session with the leaders of the campaign. The information gathered in this session helped guide the design process for the campaign’s brand, website, printed report, and other graphic collateral. The engagement continued with analysis of goals of the Women’s Power Gap Initiative. This assessment included looking at the Eos Foundation’s current audience demographic, target audience demographic, general goals, necessary features (infographics, charts, etc. ), color palette, and more. O’Neill and Associates created and designed concepts and facts in ways that are easily understood and captivating, in order to build and retain an audience. The design of the brand and logo reflected the campaign’s overall message, goals, and unique character. The colors and text styles alone have proven to have increased the campaign’s overall visibility and audience; in addition, the branding guidelines have contributed to the increase in audience engagement and audience retention-rate. O’Neill and Associates completed design work for the full website launch of www.womenspowergap.org which went live at the end of September. O’Neill and Associates designed the website with a WordPress CMS, in order to give the Eos staff full editing and expansion capabilities of the website and its content. The overall design of the website is based on the strategically curated visual branding guidelines in order to ensure brand consistency and increase brand-awareness. The website uses the User Experience best principles to provide a space that is engaging, interesting, and easy for the audience to access, understand, and navigate. 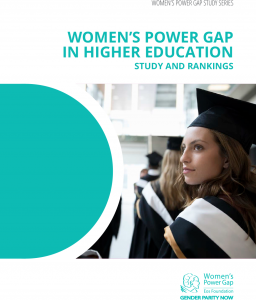 This, paired with the dynamic visual branding guidelines has elevated the message and impact of the Women’s Power Gap Initiative, thereby increasing traffic and audience.